Iron Maiden will play the new Bråvalla festival in Norrköping, Sweden next summer set to take place between 26th – 28th of June. The gig, just confirmed by the official Iron Maiden site, comes at the back of a sold out show at Friends Arena in Stockholm this summer, where the band played to 56.000 people. The appearance at Bråvalla will mark the band’s first festival appearance in Sweden since their Sonisphere Show at Stora Skuggan in 2010. The Bråvalla festival was held for the fist time last year with Rammstein, Avicii and Green Day as some of the main attractions. The festival was attended by 51.000 people, which makes it the biggest festival in Sweden. 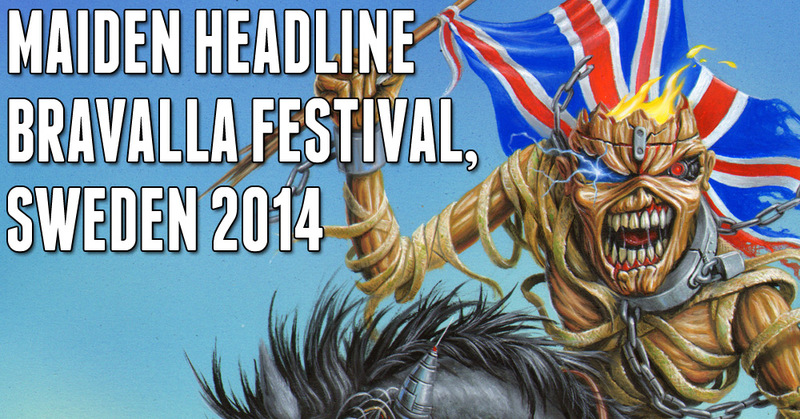 To my knowledge, they’ve never played a festival in Sweden that is not a rock/metal-only festival, which Bråvalla is. I would assume this goes for most festivals they’ve done worldwide. They’ve played plenty of mainstream festivals over the years. Roskilde for example. Reading/Leeds, Pukkel Pop, Werchter and so on. Reading 2005 Bruce addressed a mainstream festival crowd really well by saying you might not like metal, or you might not know. Listen to this song, it’s what’s metal should be. Then, if you don’t like it, you can go straight home, knowing you gave metal a chance. Then they played Phantom. The Book of Souls World Tour pt II: What to expect?